Visitors to Avfuel’s booth #1434 can learn more about Avfuel’s array of aviation services and pick up a game piece to shop the Avfuel Aisles. Representatives from 77 co-exhibitors worldwide will be lined up to meet with conference attendees and answer any questions concerning their locations and reliable services. 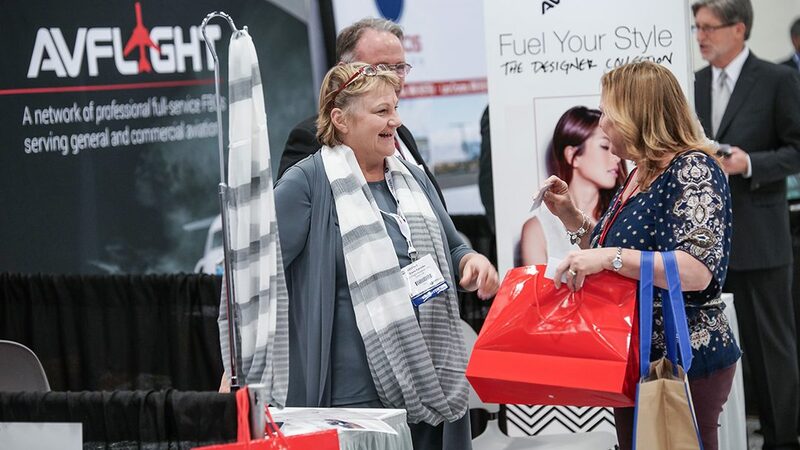 Network with representatives from each FBO and Avfuel’s staff to discuss the comprehensive business-lines of Avfuel, including sustainable alternative jet fuel, marketing, commercial fuel, contract fuel, Avplan Trip Support, Avsurance and fuel supply.